This is the era of hyper-tech espionage, encrypted emails and mindboggling cryptography. But you can hear a very old-fashioned form of espionage on shortwave radio. It is 13:03 on a Tuesday in a cramped room with some fairly advanced radio equipment. What is suddenly heard on a shortwave receiving station is a 10-minute message in Morse code. There is a small community of aficionados who believe messages like this are a throwback to the era of Cold War espionage. They are the mysterious "numbers stations". At the apex of the Cold War, radio lovers across the globe started to notice bizarre broadcasts on the airwaves. Starting with a weird melody or the sound of several beeps, these transmissions might be followed by the unnerving sound of a strange woman's voice counting in German or the creepy voice of a child reciting letters in English. Encountering these shortwave radio messages, many radio hams concluded that they were being used to send coded messages across extremely long distances. Coming across one of them was a curious experience. Radio enthusiasts gave them colourful names like the "Nancy Adam Susan", "The Lincolnshire Poacher," "The Swedish Rhapsody" or "The Gong Station." The Lincolnshire Poacher was so named because of two bars from an English folk song of that name being used as an "interval signal". Times have changed and technology has evolved, but there's evidence that this old-fashioned seeming method of communication might still be used. 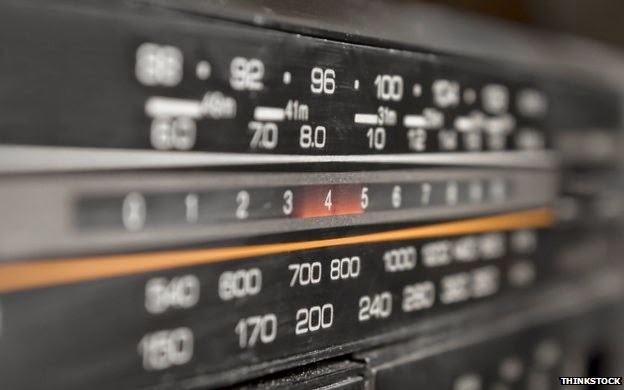 Shortwave numbers stations might seem low-tech but they probably remain the best option for transmitting information to agents in the field, some espionage experts suggest. "Nobody has found a more convenient and expedient way of communicating with an agent," says Rupert Allason, an author specialising in espionage issues and writing under the pen name Nigel West. "Their sole purpose is for intelligence agencies to communicate with their agents in denied areas - a territory where it is difficult to use a consensual form of communications," Allason says. A former GCHQ officer, who does not wish to be named, whose duty was to intercept signals towards the UK and search for these numbers stations in the 1980s is also adamant that these were broadcasts to agents in the field or in residencies or directed to embassies. It was "one-way traffic" - the transmitters broadcast numbers to the recipient. The recipient did not reply. Why might the numbers stations have been used? "This system is completely secure because the messages can't be tracked, the recipient could be anywhere," says Akin Fernandez, the creator of the Conet Project - a comprehensive archive of the phenomenon of numbers stations. "It is easy. You just send the spies to a country and get them to buy a radio. They know where to tune and when," he says. Fernandez was fascinated by the mystery of numbers stations.